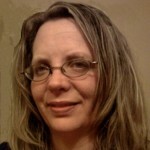 Jennifer Ramsey is a speaker and writer. She works in higher education as a department chair in Communication at a local college. She has been a client of Applied Consciousness Systems under the direction of John Smotherman since 2011. Jennifer is a mother of two sons, one of whom has special needs. Engaging in his treatment and healing has been a focus of her own personal transformation. At Willow Grove, Jennifer serves as an apprentice coach as she is training to guide others through the process of elevating consciousness She is also our communications coordinator. She also blogs about her story of transformation under a pen name in order to safeguard her privacy. However, you may well recognize some of her posts on our blog. Jennifer speaks on consciousness, spiritual transformation as well as on issues related to education, leadership and children with Sensory Processing Disorder.